Environics provides technology for First Responders for Chemical, Biological and Radiological detection. 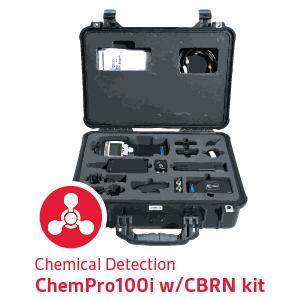 The ChemPro100i Chemical Sniffer has been used widely by First Responders and Hazmat teams to quickly detect and localize chemical leaks and sources of unknown substances. Hundreds of ChemPros are on a daily use in US and Canada – please see case stories from here. The ChemPro100i has the lowest logistic footprint of any detector in its class, every ChemPro100i ships with a 5 year cost of ownership that covers any repairs and upgrades for the first 5 years (excl. abuse). With plug and play add-on modules you are able to extend your chemical detector to full CBRN capability. 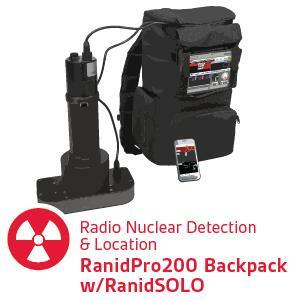 RanidPro200 Radiation Isotope Detector with a RanidSolo locator provides fast, efficient and reliable radioisotope identification with a unique locator function to not only identify the threat but also indicate the location of it.